“Prevention is the key to good health”. 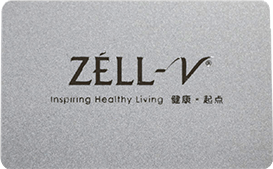 This is essentially what ZÉLL-V Wellness Health Card is all about. When it comes to our health, we believe in being proactive – to understand our own body, listen to its needs and follow the signals it conveys. The health card is designed to focus on the root cause of the disease rather than just the symptoms. Our state-of-the-art health screening equipment is able to assess and provide a 360-degree feedback on your health and it’s suitable for people of all age groups. The screening is able to pick up any existing health conditions that are present and also risk factors that predispose you to diseases few years down the line. Unlike a typical check-up at the clinic or hospital, our in-house Medical Team, through years and years of experience, have developed a customised health screening plan to understand you as a whole person and not just based on symptoms. With this, we hope to put back health in your own hands so that you could achieve total wellness – balance of the body, mind and soul. Today, many people live busy lives. How long has it been since you spent quality time with your family? Are your loved ones really healthy? Our family contains the most important people in our life. We hope that our loved ones can stay as healthy as possible. Bringing your whole family for a ZÉLL-V Wellness Tour will allow you to take a break from your busy life and spend quality time together while undergoing comprehensive health checks and planning. In ZÉLL-V Wellness Hub, you can enjoy delicious meals, scalp and skin treatments, spa, massage, meditation, Flyoga and many more activities together, allowing your entire family to achieve optimal health and vitality together. 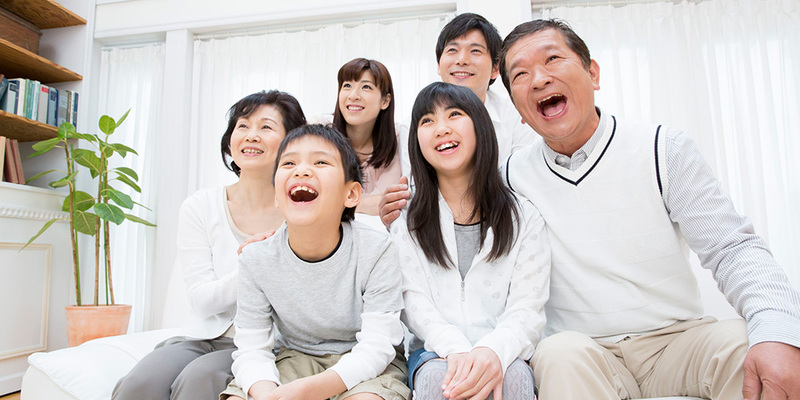 Give your family the gift of health today for a happy, quality life together. Lethargy, body aches, frequent colds, memory loss and sleep disorders are symptoms that your cells are unhealthy! Cells are the most basic units of the body and form the foundation of a healthy body. At ZÉLL-V Wellness Hub, we help you understand the actual health condition of you and your loved ones through a simple procedure called the Cell Check which requires just one drop of blood under an advanced microscope. Our parents always strive to give us the best possible things. What is the most valuable thing that we can give our parents? The most valuable thing in life is good health. As our parents age, they become more susceptible to illnesses. Therefore, to prevent diseases, having yearly health checks is a necessity. Bring your parents to ZÉLL-V Wellness Hub where they can undergo comprehensive health checks, including hormone tests, cancer markers and inflammation markers, as well as consult with doctors and dieticians who will help them plan out a healthy diet and lifestyle, so that they can enjoy a long and healthy life. There are also massages, spa treatments and meditation classes for the relaxation and rejuvenation of their body, mind and soul. As we grow older, our organs weaken and we become prone to high blood pressure, high cholesterol and high blood sugar! treated early before they worsen. Love brought two different people together. But regardless of what your background is, you need to have a healthy body to have a happy life together. A healthy body is the prerequisite of building a family. ZÉLL-V Wellness Hub helps you to understand your own health and the health of your partner and find solutions to any concerns that you may have so that you can enjoy a blissful marriage. Undergoing health screening is being responsible to yourself, your partner and your marriage. Come for a ZÉLL-V Wellness Tour together and enjoy the togetherness of working towards better health as a couple. You can also enjoy spa treatments and massages, increase your self-image and confidence, as well as body, mind and soul balance with your loved one. Infertility is on the rise today! Hormonal imbalance, declining sperm or egg quality and premature ageing are the main causes of infertility today, leading to despair, depression and even broken relationships. Premarital screening helps you to find out about any hidden issues that may affect your fertility so that you can treat them in time and realise your dream of becoming parents! It is important for women to take good care of themselves at any age. Today’s women are busy with their work and hence could easily overlook their health, making them more susceptible to illnesses and premature skin ageing, which can affect their looks, image and self-confidence. The most basic thing that women can do for their health is to go for yearly health checks. At ZÉLL-V Wellness Hub, we have prepared a host of services and treatments specifically tailored to your needs as a woman, such as blood tests, hormone tests, breast enhancement, skin renewal, hair and scalp treatment, cellular therapy, weight management, personal image consultation, etc. so that you can achieve a more beautiful, vibrant you from head to toe, from the inside out. It is only by staying healthy and beautiful that you can be the very best You. Symptoms like skin ageing, mood swings, weight gain and fatigue can be due to Hormonal Imbalance! Ageing is one of the factors of hormonal imbalance which is often overlooked. It is only through comprehensive health checks that you can understand your true health condition and stay healthy, energetic and beautiful. As the pace of life and work becomes faster, the pressure that our employees face is also increasing, making them susceptible to all kinds of ailments. Infections, high blood pressure, insomnia, decreased concentration, moodiness and anxiety are common problems that employees face. Indeed, ill health in the workplace is a loss for the company due to the extra medical expenses incurred and loss of productivity. 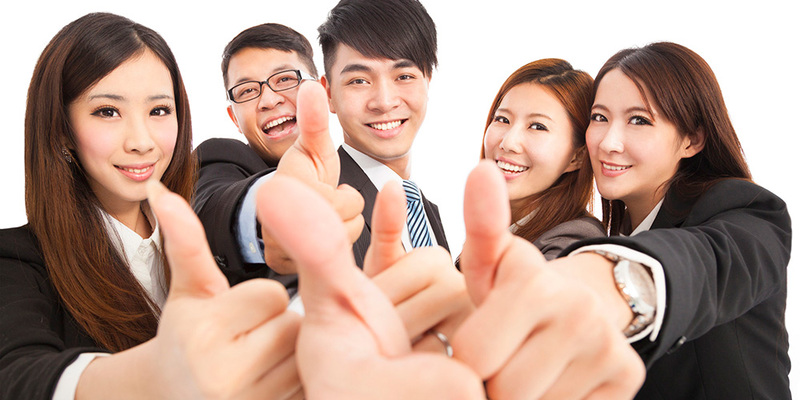 Why not give your employees a ZÉLL-V Wellness Tour? This retreat gives them the opportunity to undergo comprehensive health checks and find solutions to their health conditions. They will also enjoy relaxing spa treatments and massages, and consult with our doctors and dietitians to plan their health and daily diet. Taking care of your employee’s health not only increases their performance and competitiveness, it will also reduce abstinence and healthcare costs. Work stress is harmful to health! People who suffer from long-term work stress are prone to cardiovascular diseases, digestive problems, respiratory disorders, nervous system diseases, endocrine diseases, mental disorders and more. It is only through proper stress management, a healthy diet, sufficient rest, as well as regular health checks that we can reduce our workers’ risk of getting sick. Today, many people go for vacations to destress and get away from their busy life. If you are looking for a holiday yourself, instead of the typical sightseeing tours, why not come for the ZÉLL-V Wellness Tour which improves your health, vitality and beauty in just 2 days 1 night? ZÉLL-V Wellness Tour allows you to discover your body’s actual condition and the hidden signs of diseases, in order to find solutions to them and improve your health. In ZÉLL-V Wellness Hub, we have doctors and dieticians to assist you in planning a healthy lifestyle and diet. We also offer spa treatments and massages, meditation classes, healthy meals, skincare, hair and scalp treatments and image consultation, etc. to help you achieve body, mind and soul balance. 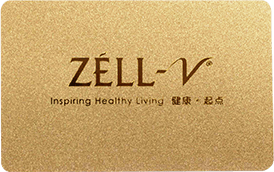 Make a trip to ZÉLL-V Wellness Hub today for better health and quality of life. Not feeling sick doesn’t mean you are healthy! Today, 70% of people worldwide are in a state of sub-health, displaying symptoms such as lethargy, insomnia, anxiety, irritability, muscle pain, eye fatigue, inability to concentrate, and poor immunity. Left untreated, the sub-healthy condition can lead to various physical and mental diseases. * Compulsory Field. We will get back to you soon!